Mosquitoes have so far this summer thrived on the tropical climate in Britain, and experts are warning of an influx of more biting insects, especially when mosquitoes settle down for the Autumn and are looking for their last feed. 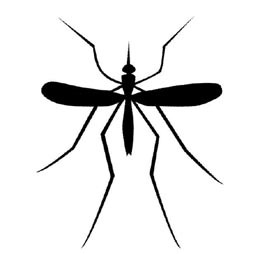 There are 34 different species of mosquito in the UK at present, 18 of which can potentially transmit malaria. A new study, which spoke to 2,000 people across the UK, has looked into how prepared Brits are for a rise in biting insects. It found 1 in 4 are regularly bitten by insects in the UK, but nearly a third said they never wear any insect repellent when in the UK. Brits are familiar with biting insects, as there are extremely high numbers in some popular holiday destinations across Europe. In fact Spain and Italy have already been hit with mosquitoes that carry malaria. A key concern over the next few years is new breeds of mosquitoes reaching the UK, and bringing with them diseases such as malaria and dengue fever. Tropical weather is more than likely here to stay, so it is even more vital for Brits to protect themselves against bites, especially as many wrongly believe that clothing can protect you. Many insect repellents on the market however include DEET, a pesticide that is harmful to not only mosquitoes but mammals and bees too. The study conducted on behalf of incognito® found nearly two thirds were not even aware that insect repellent included DEET although around 6 million people use repellent in the UK. "With ever increasing amounts of insects in the UK, it makes a lot of sense for people to learn how to protect themselves now, before any potentially fatal diseases arrive in the UK. As can be seen from the study, most Brits do not have much of a clue how to protect themselves from mosquitoes. It's not just a question of applying a repellent either; this latest deluge of rain will ensure unprecedented numbers of mosquitoes in forthcoming weeks in the UK." A study conducted by James Logan at the London School of Hygiene & Tropical Medicine uncovered a DEET-resistant gene in mosquitoes. The main point that has been highlighted in the study by incognito® is that people have a lack of knowledge on what makes them attractive to mosquitoes. Nearly 1 in 5 respondents believe mosquitoes can only bite exposed skin, a quarter do not think mosquitoes are common in the UK, and 17% think mosquitoes are attracted to the smell of your blood. •	The research was conducted by incognito® and spoke to 2,000 adults in the UK in August 2014.